When the Notre Dame women’s swim team suffered a fatal bus crash, the lives of those on the bus, their families, and the community were changed forever. Paralyzed after the accident, Haley Scott was told she would never walk again. That was unacceptable to her. With the help of those who cared most about her – her family, her school and her teammates – she chose a different fate and promised not only to walk, but to swim again for the Fighting Irish. 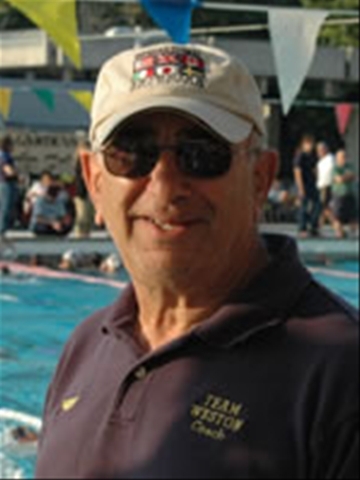 Chuck Warner’s new book, Four Champions, One Gold Medal, is a monumental achievement! Descriptive, prescriptive and inspirational, it recounts–step-by-step–the road taken by four world-class athletes in quest of Olympic gold: Americans Tim Shaw, Brian Goodell and Bobby Hackett, and Australian Steve Holland. All four were extraordinary athletes–incredibly hard-working, and totally focused on their common goal of winning the 1500 meters at the 1976 Olympic Games. All four were champions in every sense of the word. Yet only three made it to the blocks at the start of the 1500 in Montreal. And, of course, only one emerged as Olympic champion. Warner tells the compelling story of each of these gifted athletes, who share a love of swimming and the goal of winning, yet come from strikingly different backgrounds–from their first stroke in a pool through the playing of the “Star-Spangled Banner” in Montreal. The 1500-meter race in ’76 was one of the greatest races in Olympic history, and Warner recounts the race in thrilling detail, stroke-by-stroke, lap-by-lap, getting inside each swimmer’s head. For budding distance swimmers and their coaches–or for anyone who wants to learn how dedication to a goal can reap unbounded rewards–this book is an absolute must.